Have you noticed any specific concerns that expat parents in Qatar tend to have? The biggest concern I’ve noticed expat parents having is in regard to emergency treatment – ‘Who’s the best?’, ‘Where should I go if someone in my family needs emergency care?’. Expats tend to have concerns over the quality of care they’ll receive. Another concern is over the availability of certain medications. I’ve found that patients often only ask about this at the last minute, and then panic when the answer to whether they are available is ‘no’. Many medicines that are readily available in countries such as the US are not as easy to come by in Qatar. If they are, they can quickly run out of stock. Examples include insulin, blood-pressure medications and birth-control. It can be very cumbersome when a patient needs to change medication due to the fact that the one they usually use is not available. Some medicines are stocked more in the government system than the private system, so if an expat needs to come by a certain type of medication, they may find themselves having to wait three hours for an appointment in a busy government hospital. How do expats get hold of unavailable medication? Some people stock up before they move, or in the US for example, you can have prescriptions mail-ordered to a US address, and would then need a family member to send them over to you. Sometimes, however, prescription medicines can end up being diverted through the Qatari Ministry of Health for screening or customs purposes, making the process longer. If you lose your entitlement to health benefits in your home country by leaving it, this can present more of a problem when it comes to obtaining the medication. Do you find that expatriates are used to a different set of procedures when it comes to visiting the doctor? include vital signs, assessment, and then formulating a plan of how to treat the patient’s condition. Here in Qatar, there is a tendency to skip the examination, as well as the assessment at the end. For example, I’ve had a patient come in to see me, who had been prescribed medication by another doctor, but she didn’t know what the medicine did or why she was taking it. Whether due to cultural or time differences, the doctors here don’t always explain in as much detail as expats may be used to – this is something that expats may need to bear in mind. What’s the strangest case you’ve seen with an expat parent? I had a parent with a young child, 6-8 weeks old, who was irritable. She had been told to give him prune juice, which in fact can be very irritable to the stomach. I found this very strange, and not what I would have recommended at all. As a mother and expat yourself, did you have any health concerns regarding your family when moving to Qatar? Yes, we had a few worries. In one instance, my thirteen month old son was choking on an apple. He had a partial closure of his airways, and was exhibiting stridor, which is a high-pitched noise. After a heated debate with the physician over his case, (the noise he was making, the cause of it, and whether they would remove the obstruction) my son actually coughed up the apple, but the event left me very concerned over the health care here. However, the following day we met a paediatric surgeon who gave us his number in case of any further emergencies, which reassured me somewhat. It can often be a case of ‘luck of the draw’ and everyone will have different experiences. My daughter had a ‘surgical abdomen’, a bowel obstruction, but it took us three visits to the emergency room to convince them that this was the problem and that she needed to see a surgeon. Persistence on the parents’ part may sometimes be needed. I myself once flew to London to receive care, when I was unable to find a doctor in Qatar willing to undertake further evaluation of a gallbladder problem on me whilst I was pregnant. What about the positives that expats will likely encounter? The cancer treatment here is positive. I’ve met expat patients with breast cancer, who’ve received very good care. Also, plastic surgery here is fairly popular with expats as it tends to be cheaper than in some other countries, and I’ve only heard of good results. In one hospital a few years ago, some physicians from Pittsburgh in the US came and set up the emergency protocol for strokes and heart attacks. In this way there have been some Western influences on certain aspects of the health care. There are many young expat families here, becoming new parents, and from my own experience, I’d say that the maternity care here is good. In what ways did you prefer the maternity care in Qatar? Everybody’s stories and experiences will be different, but I preferred my childbirth experience in Qatar to the one I had in the US. I delivered through the private system in Qatar and found it to be a lot more accommodating. At the clinic I went to in America I felt more like a number, and felt less attention was paid, particularly regarding pain experienced in the time afterwards. In the government-run hospitals in Qatar the maternity care is different to that of the private system. Men are not allowed to be present at the birth, for a number of reasons, including the simple fact that many of the rooms are joined together in a long line with the bathrooms outside of them, meaning less privacy for the women. There is a new hospital, Sidra, in the process of being built, which is aiming to become world-renowned. Rajka Milanovic Galbraith is an American Board certified family physician living and working in Qatar with her family. 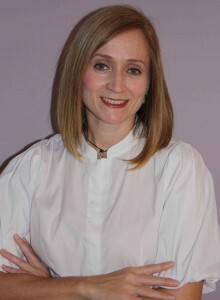 She is a mother to 2 young children and blogs on health care, parenting and expat life at www.expatdoctormom.com.